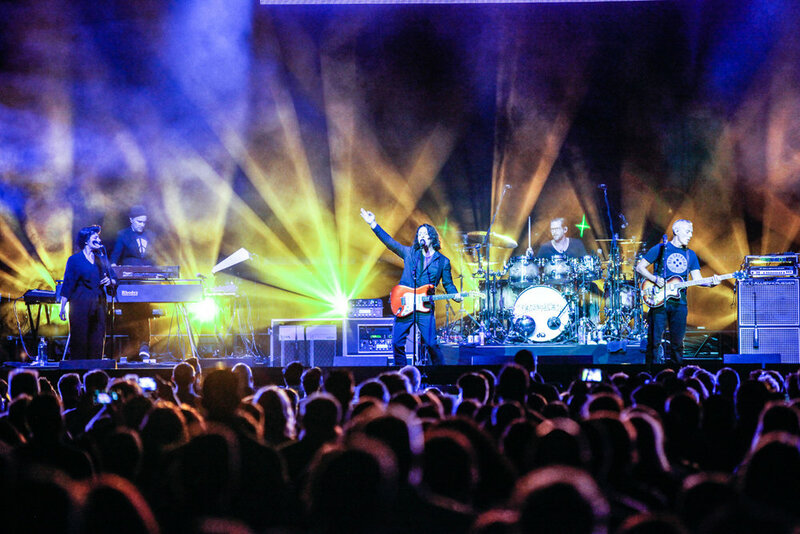 Tears for Fears are available for exclusive private events, as well as public concerts. To inquire about pricing and availability of Tears for Fears, or to book Tears for Fears for your event, Contact Jay Siegan Presents here. Tears for Fears are an English pop rock band formed in Bath in 1981 by Roland Orzabal and Curt Smith. Founded after the dissolution of their first band, the mod-influenced Graduate, they were initially associated with the new wave synthesiser bands of the early 1980s but later branched out into mainstream rock and pop, which led to international chart success. They were part of the MTV-driven Second British Invasion of the US. "I Love You But I'm Lost" was released as a single from a new 16-track Tears For Fears compilation album entitled Rule The World - The Greatest Hits. The compilation was released by Universal Music on 10 November 2017, and includes fourteen Top 40 hits from all six previous Tears For Fears albums along with two new tracks. The band announced an 11-date UK arena tour for early 2019.